Our central heating is broken. It won't heat the downstairs of our home at all. We've all been a bit cold today and when I got Little Miss changed and dressed this morning I put her back in her sleeping bag to keep her warm. This was what I saw when I checked Bud's room just before bedtime. 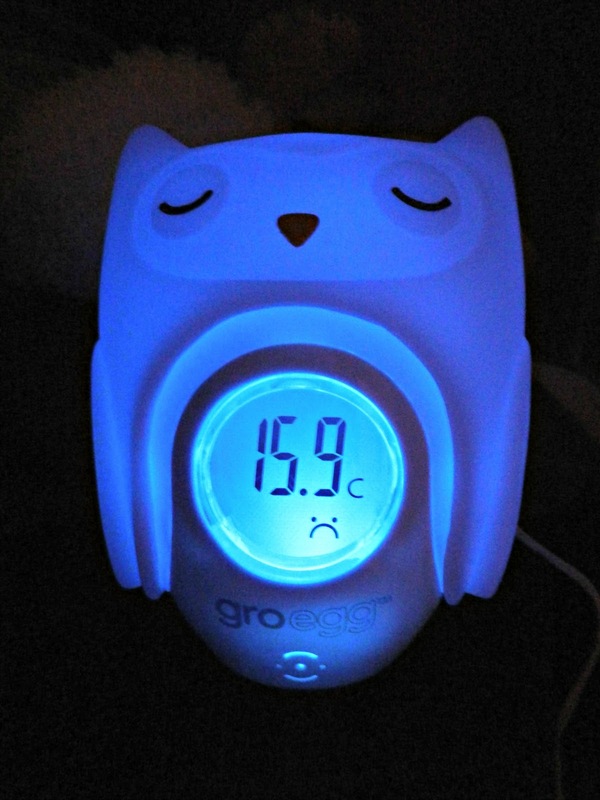 I've never seen our Gro-egg Owl blue before!